A couple weeks ago I finally got around to trying out my friend, Natalie Santini's (HungryHippie Sews) Essentials Tote pattern. This bag is awesome. I'm not sure how I survived before without it. 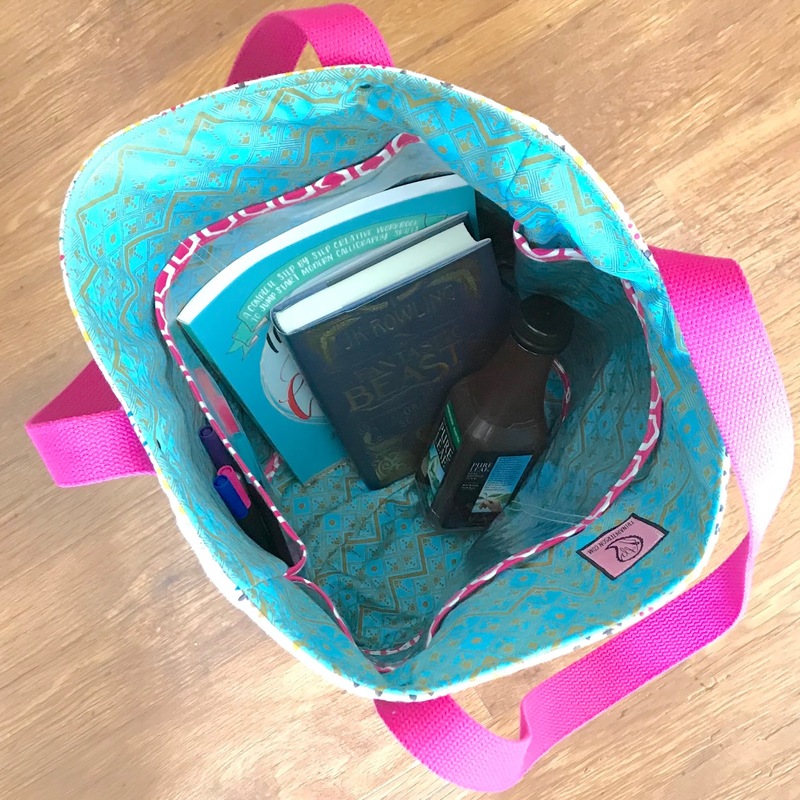 Finishing at about 19" x 19" x 4", the Essentials Tote is the perfect size for any on-the-go gal like me who is constantly lugging around crafty projects, kid paraphernalia, books, tech gear, etc. I adore the clear vinyl pockets, because I can see where I stashed all of my hundred different things! The bag is also really fun to put together. I enjoyed working with the vinyl, and the instructions are great! 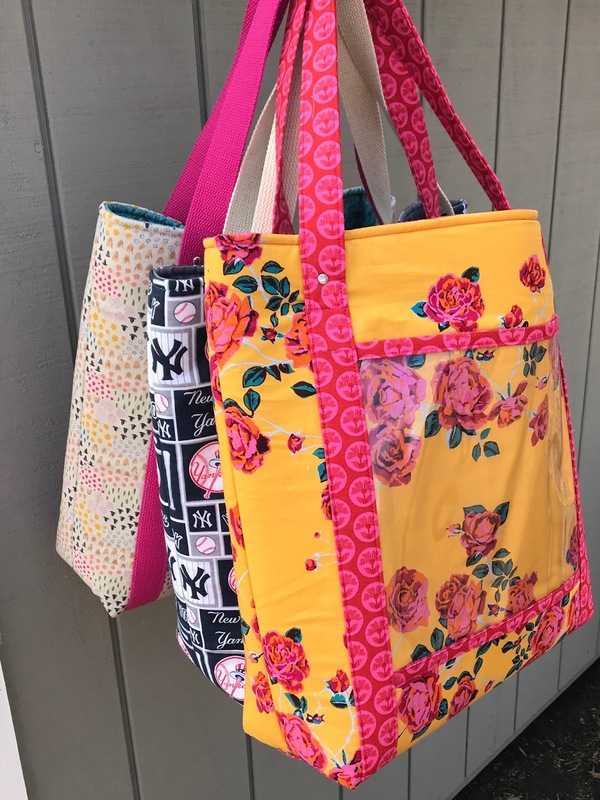 I loved my first bag so much that I wanted to make a couple more. I used up some stash fabric, and I tried a couple slight variations. I made my first bag according to the instructions, including all pockets. There are clear vinyl pockets on both sides of the exterior and lining. That's a lot of pockets! I love being able to keep everything organized and still visible. The lining pockets are divided, so there are a ton of compartments in this thing. The only change I made to the instructions on this bag was adding the rivets near the top of the straps. I am loving the look of rivets these days. Plus they are fun to install, and they add some extra strength. 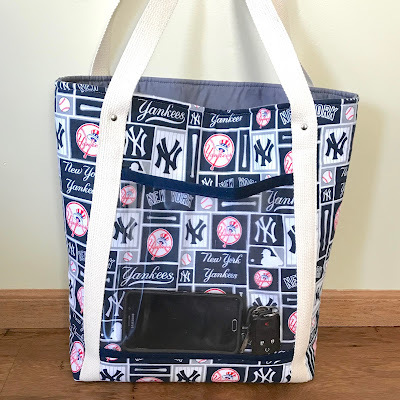 The next Essentials Tote I made was with some New York Yankees fabric. 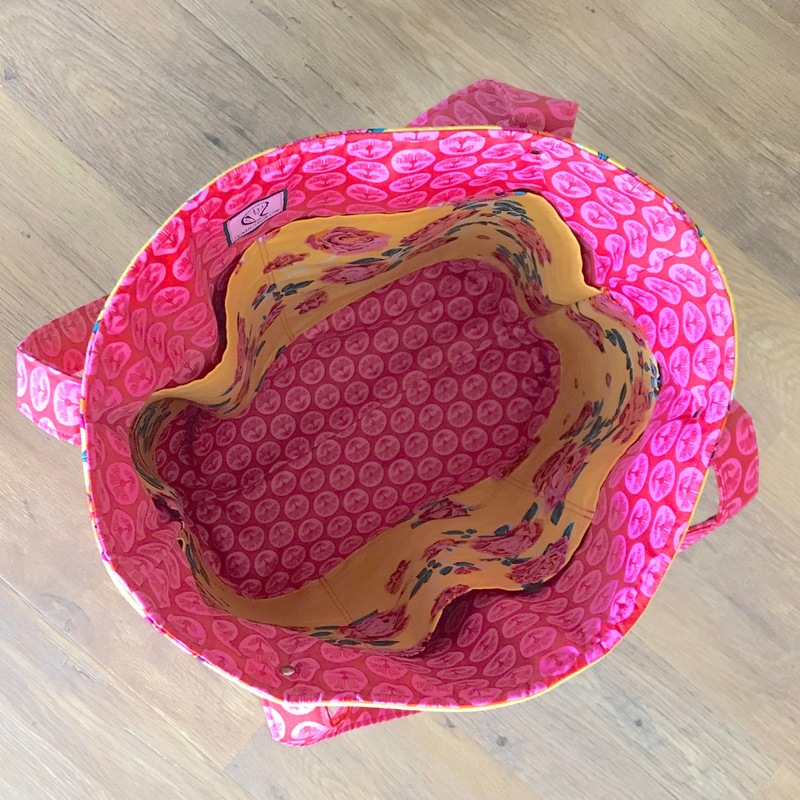 This bag has one vinyl pocket on the exterior. I also like this bag without the pockets, because it's less cluttered on the inside. It would be excellent for someone who doesn't carry a lot of tiny things, or someone who likes separate smaller pouches for organization. 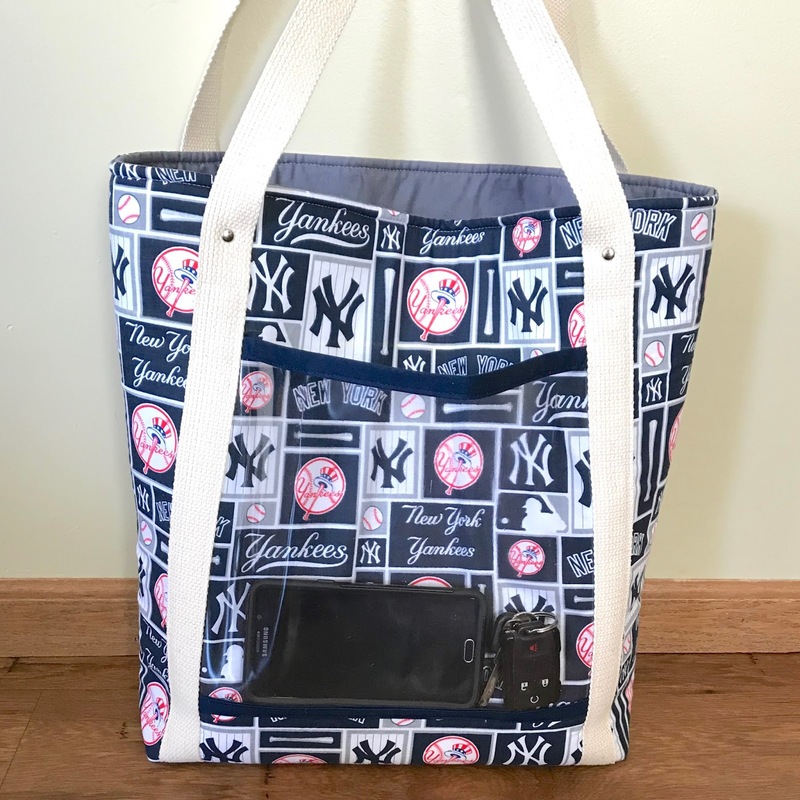 This bag is available for purchase in my Etsy shop here. 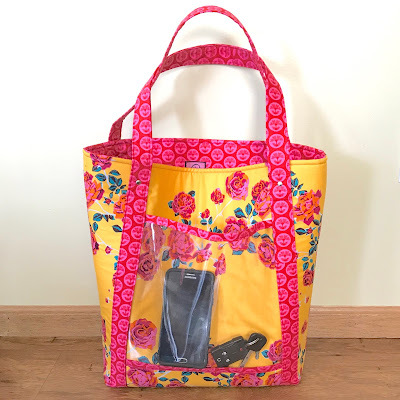 I made a third Essentials Tote in this gorgeous Anna Maria Horner fabric. I put one exterior vinyl pocket on this bag, and instead of using vinyl for the inside pockets, I made them with the coordinating fabric. The inside of the bag looks so beautiful with those pockets! This bag is also for sale in my Etsy shop here. 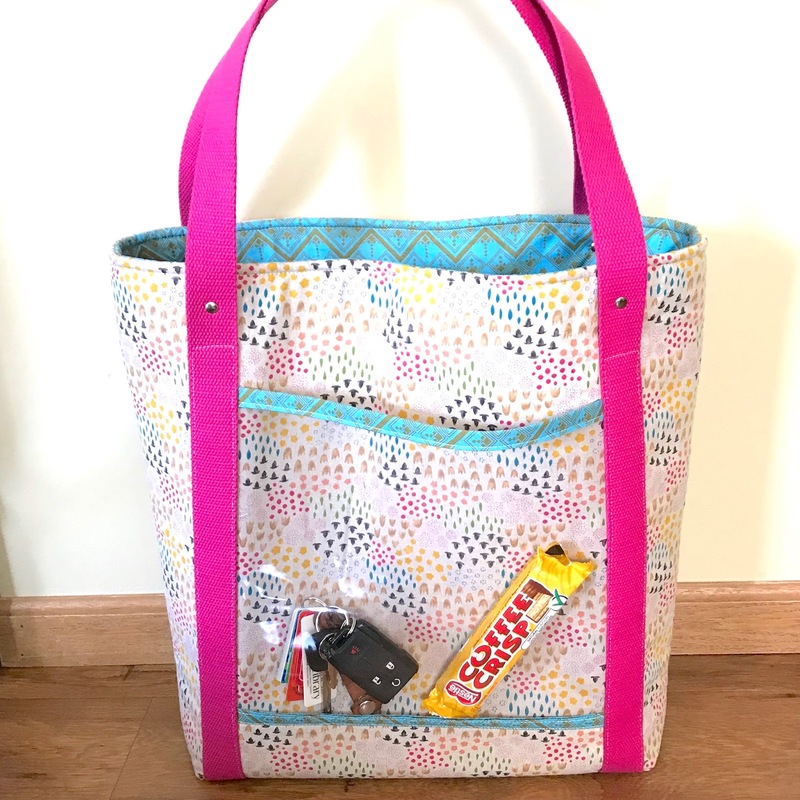 Get the Essentials Tote pattern by Natalie in her Etsy shop here! 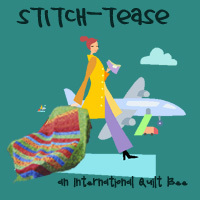 It's a great pattern, and I bet you'd find yourself making at least a few of them! You're freaking incred Yo. XOXO I'm sharing these pics in my blog post (soon).